Saranda is the kind of place that tends to divide travellers. Some will say you simply have to visit, while others will hum and haw before reluctantly conceding that it’s only ok. 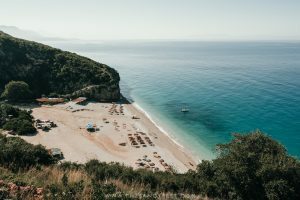 Without a doubt, it’s one of the most visited spots in Albania – a magnet for Balkan and Greek locals looking for an affordable beach getaway, a humming beach town with an easy balance between lively and laidback and a major transport hub for those crossing from mainland Greece, Corfu or Macedonia. It’s also somewhere that can get a little crazy come summer which is where this divisiveness tends to creep in. 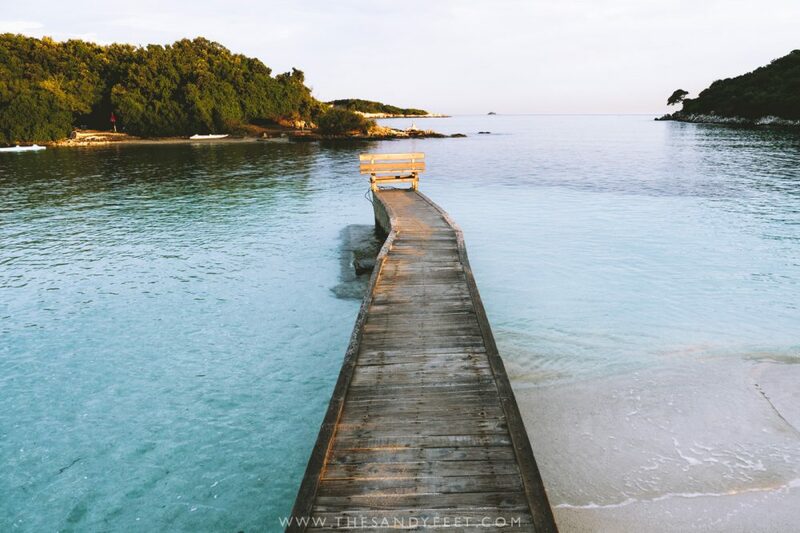 But whether Saranda is your kind of place or not, it’s a perfect jumping off point for several excellent day trips that will allow you to escape the crowds and experience an utterly different side of Albania – one woven with history, incredible natural beauty and wonderfully uncrowded shores. Looking to escape the city? 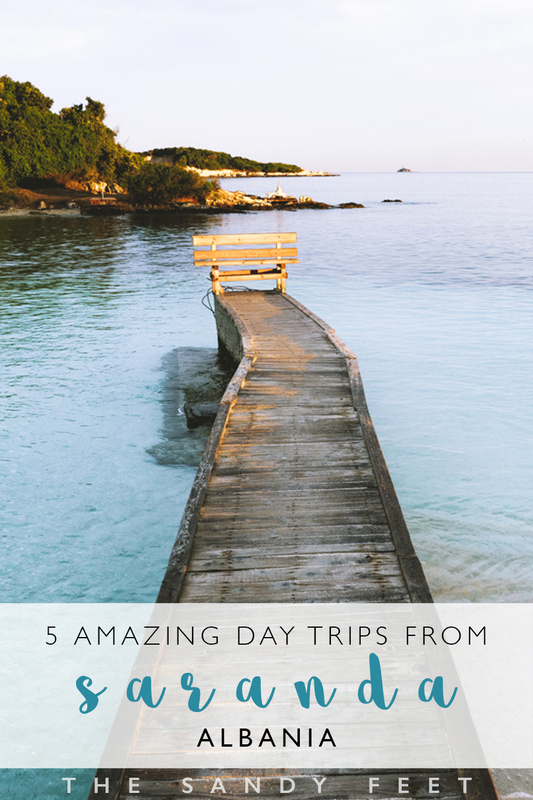 These are the best day trips from Saranda. 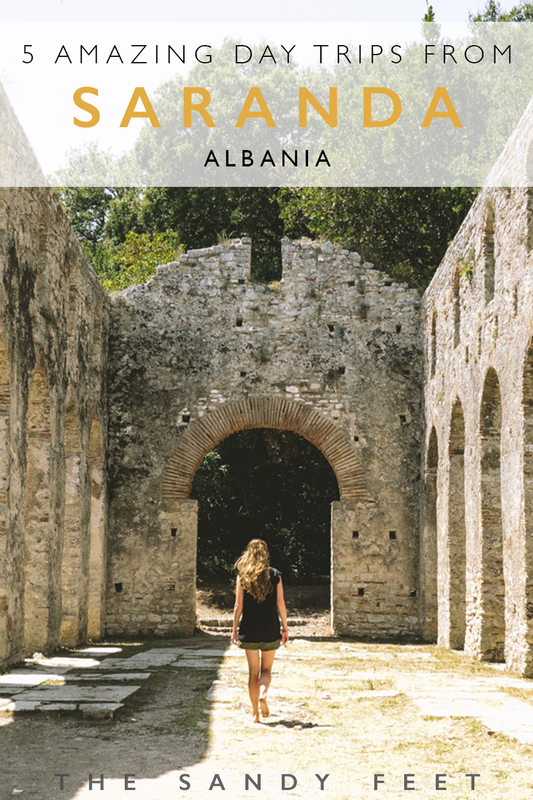 A visit to Albania’s Butrint is like walking through the pages of history. 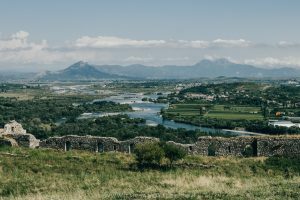 This UNESCO World Heritage Site, the first to be listed in Albania, was inhabited and built by the ancient Greeks and Romans over centuries only to be left in abandoned in the Middle Ages. 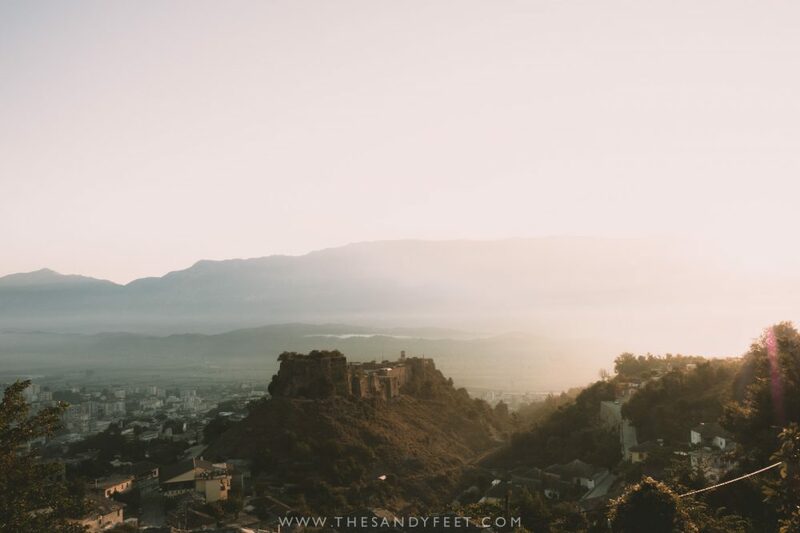 Set in a beautiful forested area that sprawls across the peninsula, the ruins are very well preserved, though the amphitheatre, basilica and castle are the most impressive sights. The spectacular floor mosaics found at the baptistery are unfortunately covered year-round as part of the park’s conservation measures, but they are due to be unveiled for a short period again in 2021. Until then, don’t miss the information panels which show its intricate design and how the complex has changed with each new ruler – it’s quite incredible. Get There | Buses run every hour between downtown Saranda and Butrint via Ksamil for 100 lek (€0.80). The entrance fee to Butrint National Park is 700 lek (€5.60) and it takes 2 to 3 hours to visit the entire complex. Take A Tour | Love history? Consider a Guided Tour of Butrint which includes an in-depth tour of the complex, private transfers and park entrance fee. Ridiculously blue and deliciously cool, it’s no surprise Ksamil is Albania’s premier beach destination. While the beaches that wrap around the city do get understandably jam-packed in summer, there are several further afield that still remain pleasantly uncrowded, such as Monastery and Pasqyrave beaches and the hidden beach between them, or head to the opposite side of town and sprawl out on the shores around Last Bay. Get There | Buses run every hour between downtown Saranda and Ksamil for 100 lek (€0.80). For the beaches located before Ksamil town, just tell the driver when you’re ready to get out. Clattering up the steep slopes of the Gjerë Mountains, the slate grey rooftops of Gjirokaster and its imposing castle paint a rather pretty picture. 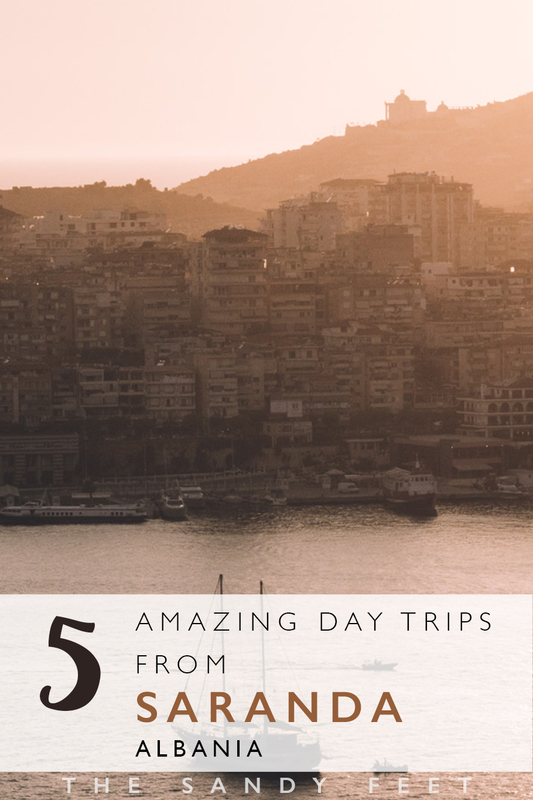 Lying just an hour away from Saranda, this enchanting old town – one of Albania’s most beautiful in my mind – is an easy day trip that will leave you with plenty of time to explore. Don’t miss the 12th-century castle on the hillside where you can easily lose an hour between the spectacular views of the Drina Valley and the trio of museums. Enjoy a tour of Ottoman-era Skenduli House run by the descendants of the original inhabitants, browse the souvenirs at the old bazaar and clamber up the steep hills to the historic museum for the best views of the UNESCO-listed city. More adventurous types can climb even further to Ali Pasha’s Bridge which arcs across the river. 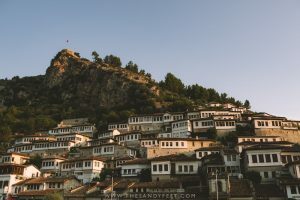 Gjirokaster ended up being one of my favourite towns in Albania so if you’ve got the time, I’d highly recommend making your visit here more than just a day trip. Get There | Buses or furgons leave every hour or so from Saranda and will drop you on the main road below Gjirokaster. The trip costs 400 lek (€3.20) and takes around 1.5 hours. To reach the old town it’s a steep 30-minute walk or a short taxi ride. 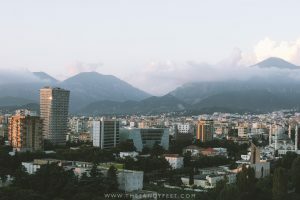 To return, buses leave when full from the Kastrati Petrol Station on the main road or you can flag down any Saranda bound bus coming from Tirana. 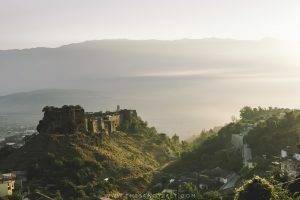 Take A Tour | A number of operators in Saranda offer day tours to Gjirokaster, or you can reach the city on your own and join a Gjirokaster City Tour to take in all the main sights. Along such a gorgeous stretch of the Ionian Coast, where turquoise waters caress paper white pebbled shores, Saranda is hardly the most attractive of the bunch. But head north and you’ll find a number of beautiful sandy bays and uncrowded shores to lay your towel on. 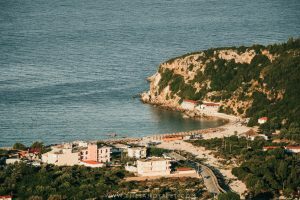 Perrenially laidback Himara is a popular choice, while Gjipe, Porto Palermo, Bunec, Lukova and Livadhi, along with the multitude of tiny secluded coves that lie sprinkled between them, are also great options for a beach day. Planning on spending plenty of time sprawled out on the beach? 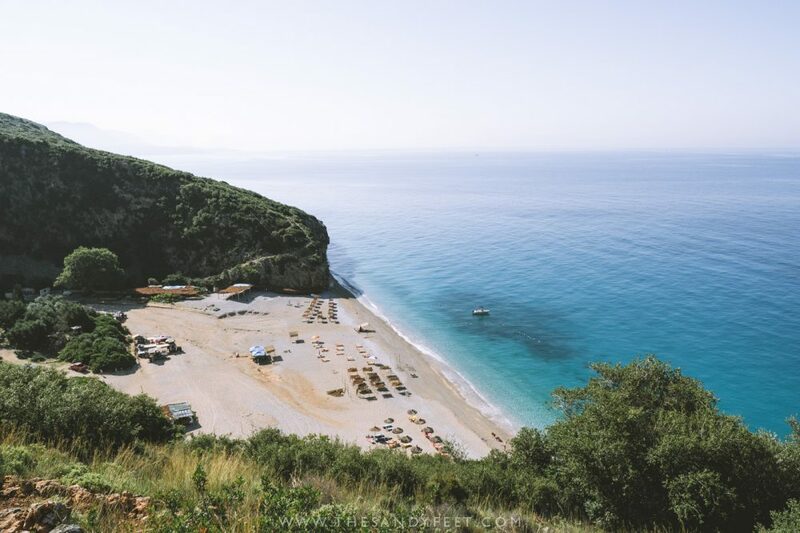 There’s a guide coming soon on Albania’s best beaches. Get There | Though it is possible, getting to some of these beaches by public transport is rather difficult. 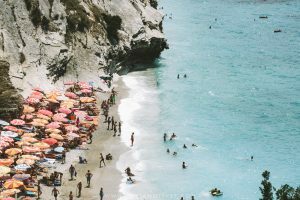 Officially, there are just two buses running between Saranda and Vlore each day which can drop you at any of these beaches or the turnoff that leads to them. In reality though, buses are far more frequent, in summer anyway, but they do seem to run on their own schedule so aren’t all that reliable. If you are comfortable with the risks it present, hitchhiking along this part of the coast is very popular as there’s only one main road and most travellers I met were able to find a ride in less than five minutes. Better though is to hire a car to explore the gorgeous coastline, even if it’s just for a day. Check the best deals on rental cars in Albania here. 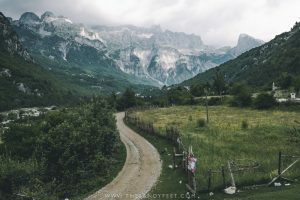 Set in a lush tangle of jungle, Albania’s Blue Eye is one of the most popular destinations for day-trippers from Saranda, and while it’s a beautiful place to visit, I’ll add one very important caveat – don’t bother going in the peak summer period unless you plan to arrive super early or late. 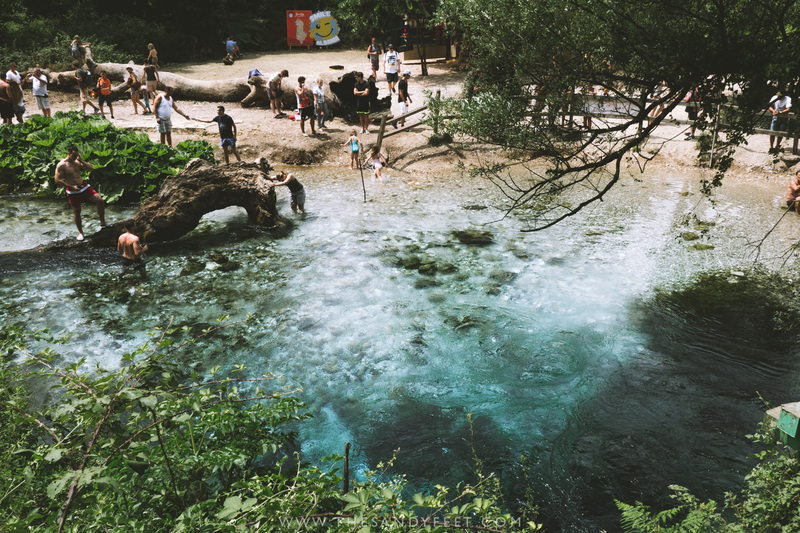 As the source of the Bistrica River, where bone-chillingly cold water bubbles up from a depth of more than 50 m amidst the trees, it certainly has the potential to be a wonderfully peaceful oasis, a perfect place to relax and cool off from the blistering sun. But as the pools are quite small and the parking lot perhaps far larger than it ought to be, the area unfortunately gets disgustingly crowded in July and August. Outside of peak season, you’re likely to have a much more enjoyable experience. Get There | To get to the Blue Eye, you can jump on virtually any north-bound bus except those taking the coastal route and you’ll be dropped at the turnoff on the main road. The trip takes a little under an hour and costs 300 lek (€2.40). A few hundred metres down the road you’ll reach the entry point where you need to pay the 50 lek (€0.40) entrance fee and from there it’s around 30 minutes along a dusty road to reach Blue Eye. Returning is a bit more difficult as you’ll need to flag down a bus on the main road coming from Tirana or Gjirokaster. They pass at least every hour or so but tend to leave when full at their departure point so can be a little unpredictable. If you’re travelling by car, the Blue Eye is a perfect detour on the way between Saranda and Gjirokaster. Take A Tour | This Blue Eye Tour includes stops at Lekursi Castle, the Monastery of Mesopotam and finally the Blue Eye. Pssst…. Want an Albanian Blue Eye experience in the middle of summer without the crowds? The icy aqua pool near Theth in the country’s north is even more beautiful and only sees a dozen or so visitors a day. Hovering tantalisingly close to Saranda’s pebbly shores, the hulking mass of Corfu and all that a day on a Greek Island implies is almost too much to resist. Plus, if you plan it right, you might even get to travel there by Hydrofoil which basically looks like a boat from the future. Get There | Dozens of agencies sell ferry trips to Corfu throughout the day for around €20 each way. If you’re travelling in summer, I’d recommend booking your ticket at least a day in advance to ensure you can get there early enough to allow enough time on the island. Once on Corfu, you can zip around by bus with services run by City Bus and Green Buses, or you can rent a car. Also remember that Corfu is part of Greece and so falls inside the Schengen Zone so be sure to have a visa if required. Take A Tour | Corfu is a huge island with plenty to offer. If the bus timetables are limiting your plans and you don’t plan to rent a car, a tour could a good option – spend the day tasting olive oil and wine or cruising between some of the area’s prettiest towns. Choose your favourite experience here! With all this day-tripping, you’ll want to find a perfect place to base yourself in the city itself. 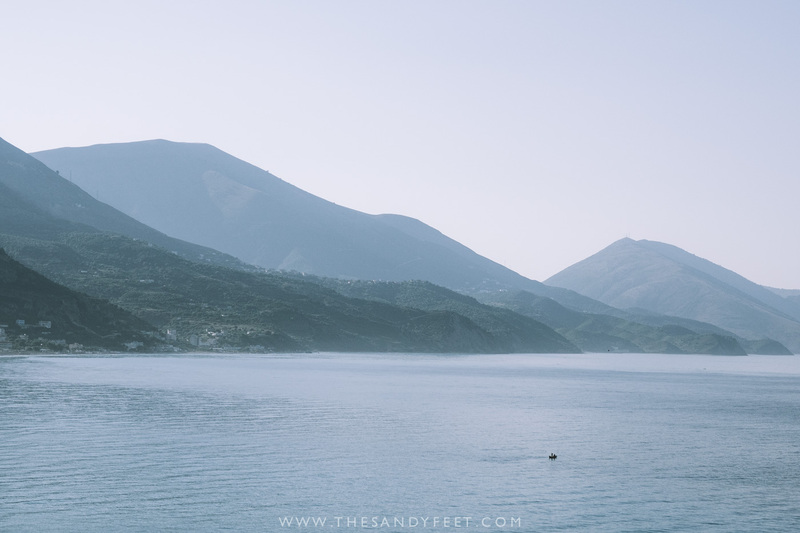 Saranda is built around a tight bowl that rolls toward the sea so bear in mind that anything not on the road or two beside the waterfront will be uphill. Check the best deals on accommodation in Saranda here. 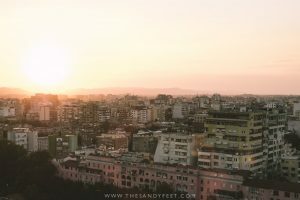 For a more home-away-from-home experience, Airbnb is an excellent option and you’ll be glad to know Saranda has plenty of great apartments available right in the city. Sign up here and receive up to $30 off when you make your first booking. 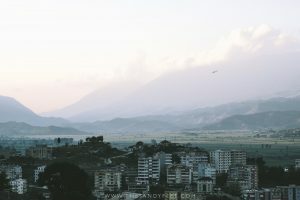 Heading to Albania? Let us help you plan your adventure.